If you’ve never been to Davis Chiropractic Center or a chiropractor before, we understand that you may have questions about our office and what we do. 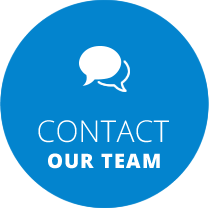 Our team is here to make sure you have a wonderfully positive experience, thoroughly addressing all your concerns. Yes, and Dr. Davis is in-network with many plans. We also file with Medicare. Yes. Payment plans for individuals and families are available at Davis Chiropractic Center. I work all day. Can you accommodate my schedule? Yes. Dr. Davis is here during both early and late hours. He also sees people during lunchtime, to ensure that we work around your busy day. Yes; Dr. Davis is happy to work in a team to comanage your case with your other health care professionals. We have many patients who ask that we keep their family doctor apprised of their situation. Yes. We understand that when you’re suffering, you require immediate attention. You’ll receive treatment at your initial appointment. Not everyone needs to have X-rays taken. If they are necessary, digital X-ray facilities are offered on-site. Absolutely! Long term research shows that chiropractic manipulation is one of the safest approaches for relieving pain compared to many different medical approaches. If you have further questions, please don’t hesitate to contact us. Walk-in appointments are welcome, and same-day visits are available!